Lizzi Giles is an emerging choreographer based in London originally from North East England. Trained at The London Contemporary Dance School since graduating her work has been shown in festivals around London. Her work is mainly movement based with a strong physical theatre presence and often leaves the audience looking more exhausted than the dancers! 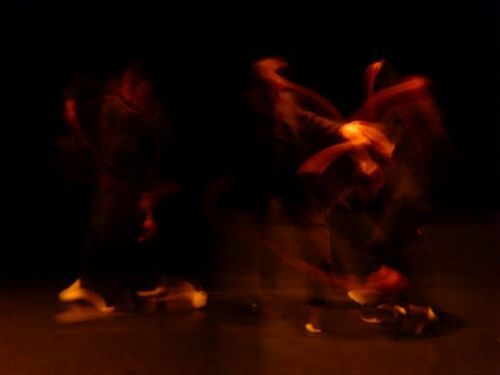 Accented is based on the British regional accents transforming the way people speak into movement, it is a fast paced high energy dance/ physical theatre piece. Working closely with composer Carlos Fernandes and the dancers to create our understanding of our tongue through our whole body, using specially recorded voices to create more of an understanding of the high powered movement.